I offer more than two decades of experience in writing, as a novelist, journalist, memoir writer, technical writer, science writer, medical writer, memoirist, and ghostwriter. For ten years, I served as Editor and Associate Editor of The Southern Cross, the Catholic newspaper of San Diego. During those years, I honed my skills in writing for knowledge and editing. The decade at the paper garnered me numerous top journalism awards from both local and national press organizations. In addition to my work with The Southern Cross, I have written freelance articles for a variety of magazines and news services. 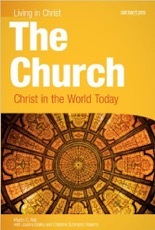 In addition, I co-wrote The Church: Christ in the World Today (2010, St. Mary's Press). My first love is fiction. I earned my Master of Fine Arts degree in Fiction Writing at the University of Oregon and have been writing fiction ever since. A ghostwriter is a professional writer who is paid to write texts that are officially credited to someone else. Ghostwriting requires a strong sense of self, and a willingness to subsume that self to the needs of others. I have written books for business professionals, medical professionals, a bioethicist, and a Hungarian immigrant, though I eschew academic ghostwriting, believing that all academics should earn their own accolades. As a ghostwriter, I attempt to write in the voice of the one whose story I tell, a feat I achieve by spending time with my clients in conversation, getting to know their rhythms of speech and their perspectives on life and the topic at hand. My years as a journalist are a great asset when it comes to interviewing for information and knowledge. I also ghostwrite articles for professionals who wish to publish their own articles but need the guidance and expertise of a professional writer. While I would like to list my ghostwriting publications, that would be telling. Suffice it to say, several books and numerous articles have appeared in print without my name on the cover, though I am often given credit in the acknowledgements. It’s a game of find-and-seek.